The most unique and budget-wise things are usually the DIY stuff. You get to decide not only on colors and textures but you also choose a price of materials that you use. In the end you get to have pretty things for little money. Headboards for beds can be easily made from any materials as well as add a unique and original touch to your bedroom. 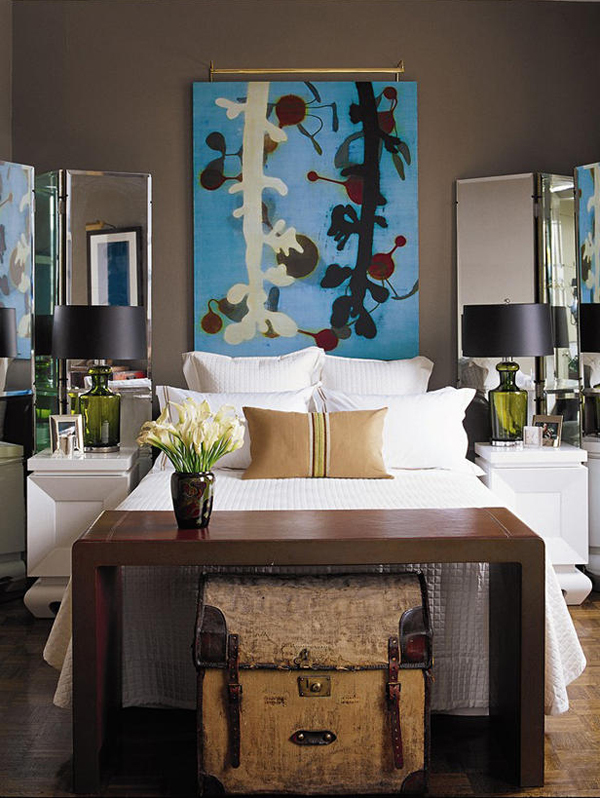 Headboards can have very different designs. They don’t have to be conventional and ready made. You can also use many various materials to make them. 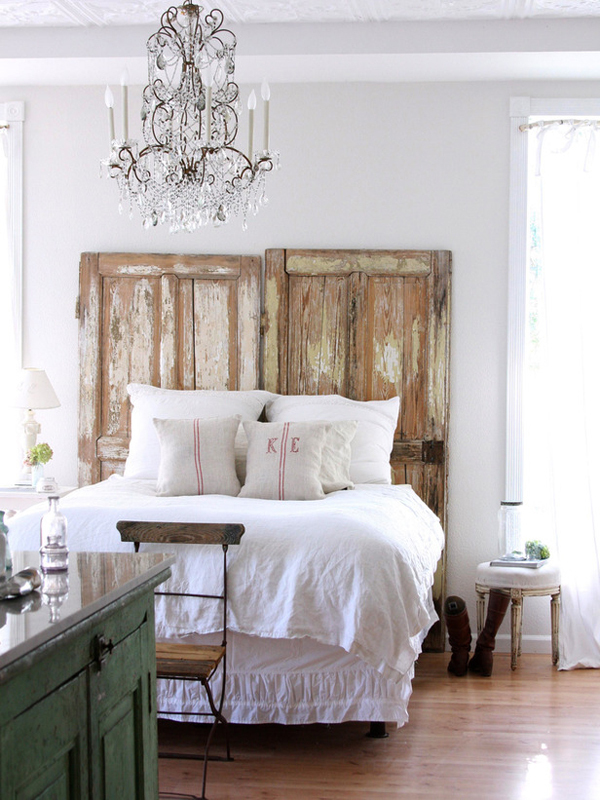 For example rustic design allows using old doors or window frames with chapped paint and an unfinished look. It will give your decor a raw touch and resolve the problem of storing the old stuff. 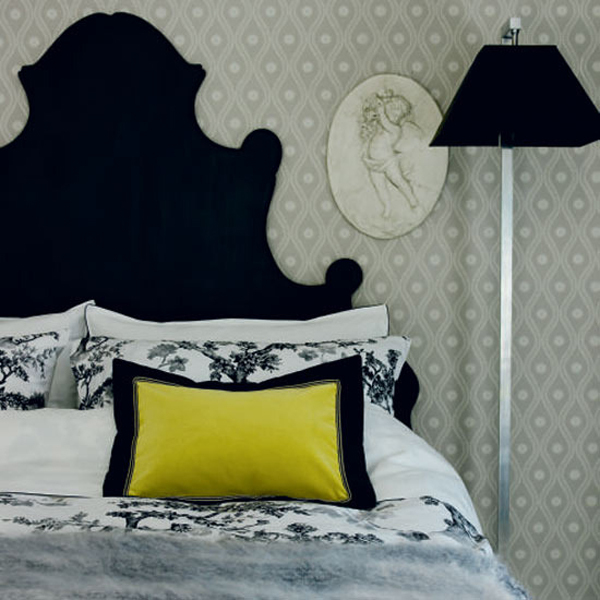 Padded headboards are pretty conventional but you can make them unusual by upholstering with brightest fabrics or decorating with some accessories. 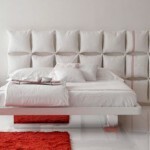 You can also make a bunch of small pillows and attach them to the wall to make a headboard. Frames, artworks and creative hanging shelves are also great at making a cool headboard on budget. Wall art like vinyl stickers can be an easy and beautiful alternative to a conventional headboard. 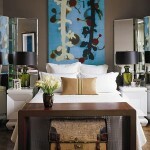 Mirrors, mosaics, knitted paintings and chalk boards also make original headboards. Cardboard is a great material for making your own headboard design. It’s easier to work with than other materials like wood or metal and you can do pretty much anything with it. 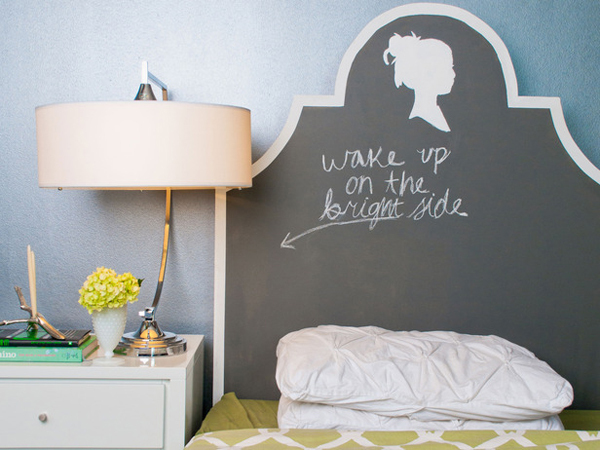 Sketch a shape of your future headboard, cut it out and paint in any color you want or need. the other half to make sure the curve is the same on both sides. probably not going to be able to make one yourself.